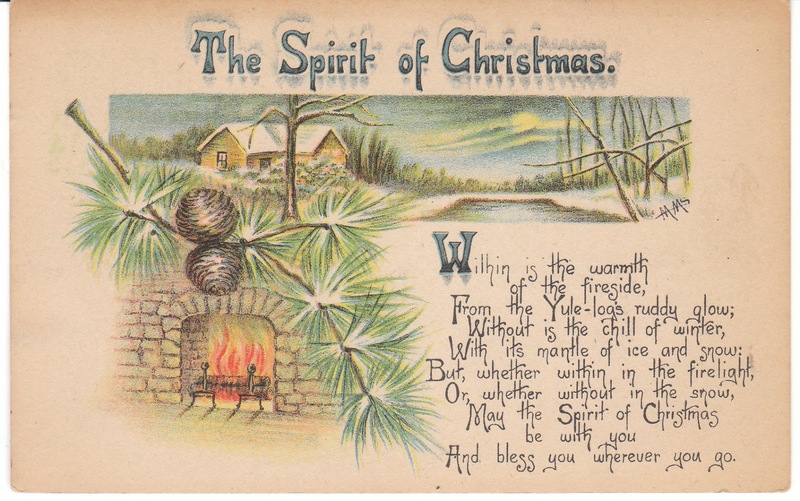 Happy weekend, vintage friends! 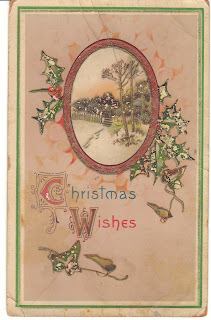 I have some nice new arrivals to share with you. 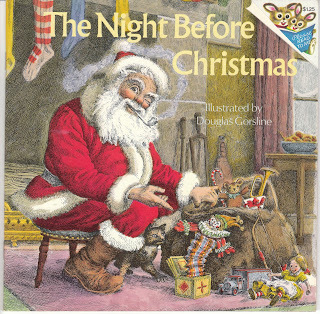 These goodies can all be found at Birdhouse Books on eBay -- and they will be at Etsy and Amazon soon as well. 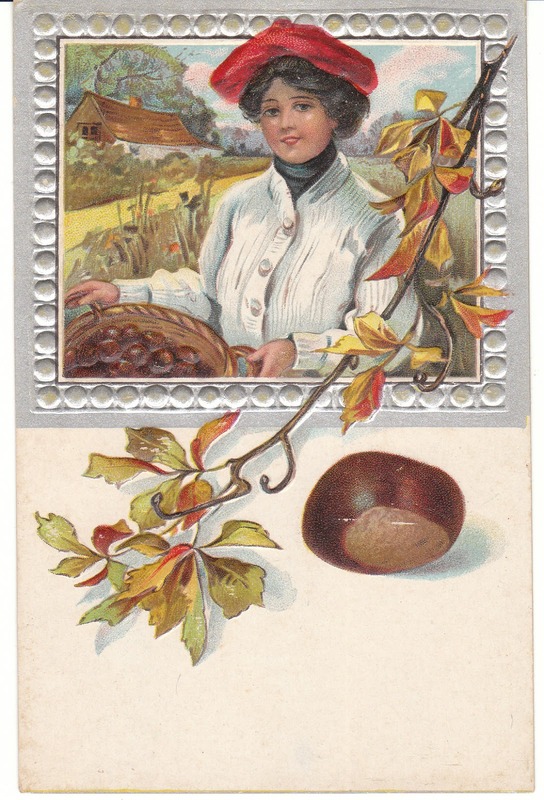 This vintage postcard features a beautiful woman with a basket of chestnuts. 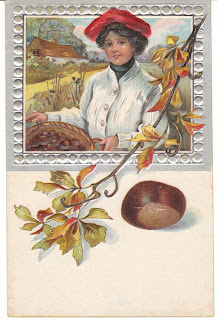 This scene looks like Autumn! 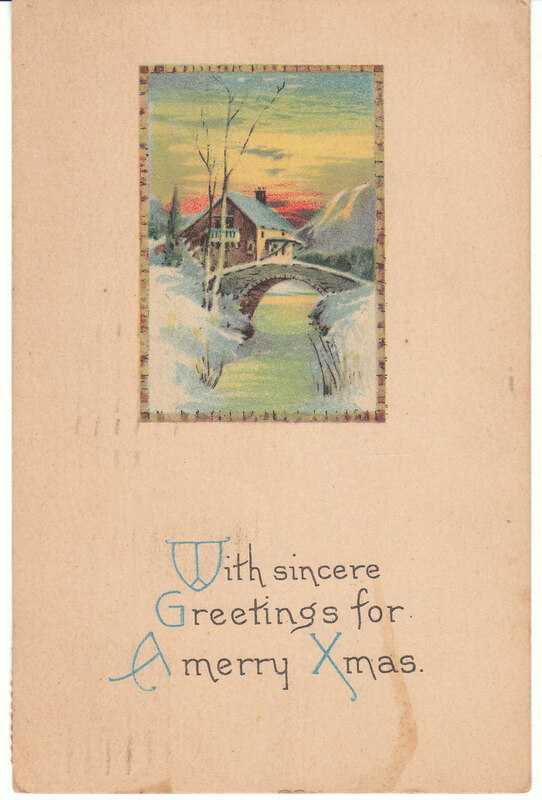 This lovely vintage Christmas postcard depicts a cozy cottage and a bridge on a snowy day. 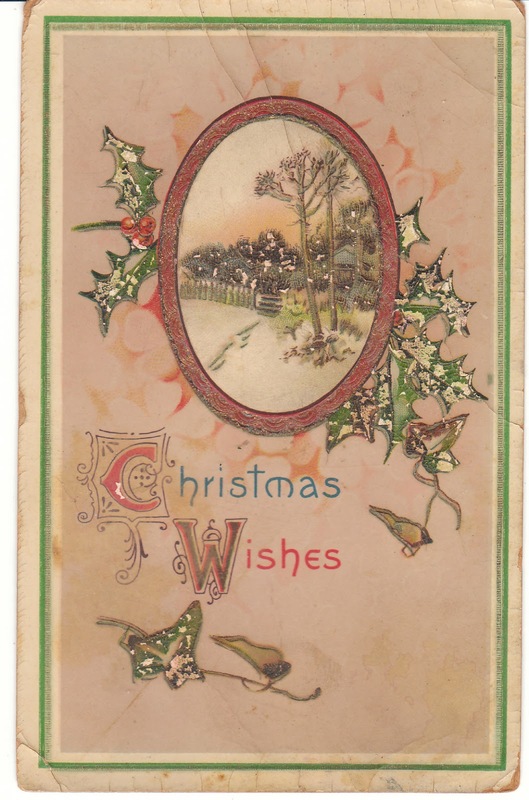 This is a vintage gel postcard (thicker, shiny surface) with a Christmas theme. 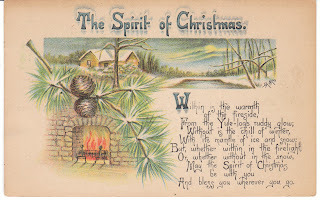 This lovely postcard is about the Spirit of Christmas. 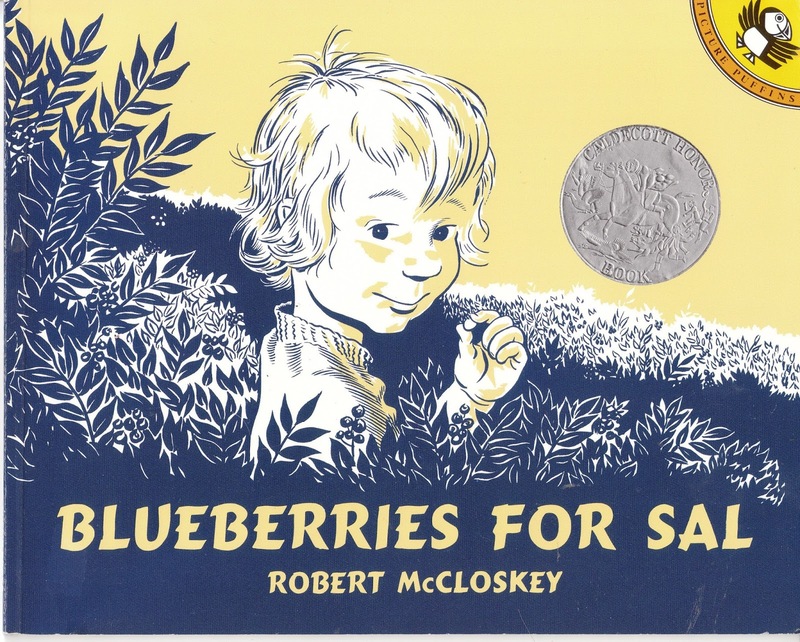 Love the lettering as well as the illustration! 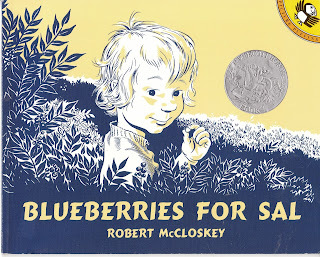 Blueberries for Sal is a picture book by Robert McCloskey. 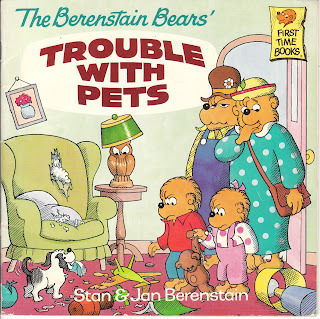 A little girl out berrying with her mother meets a mother bear and her cub. 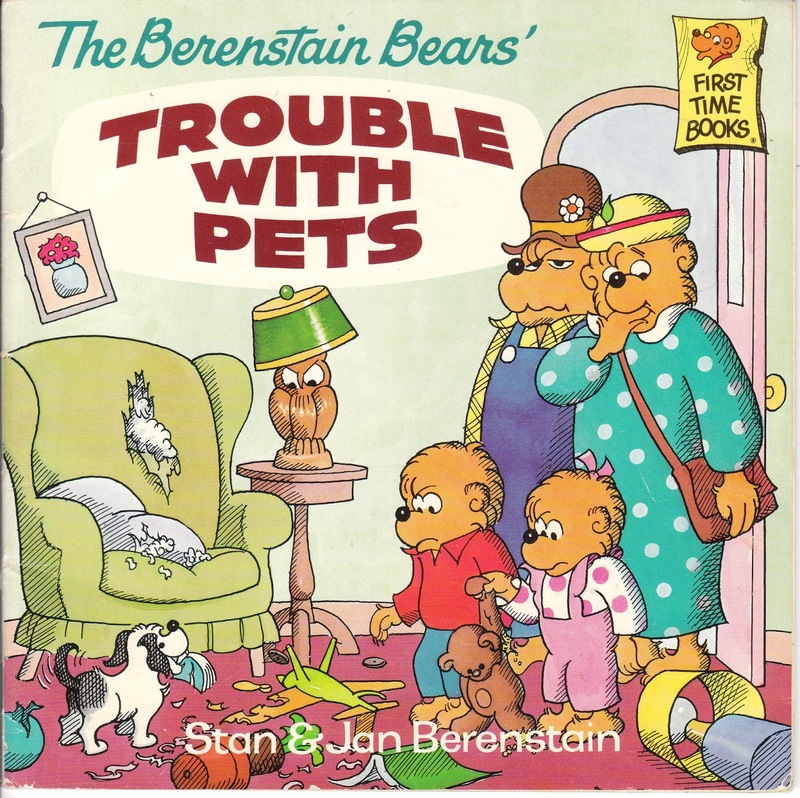 Brother Bear and Sister Bear learn about taking care of a dog in The Berenstain Bears' Trouble with Pets. 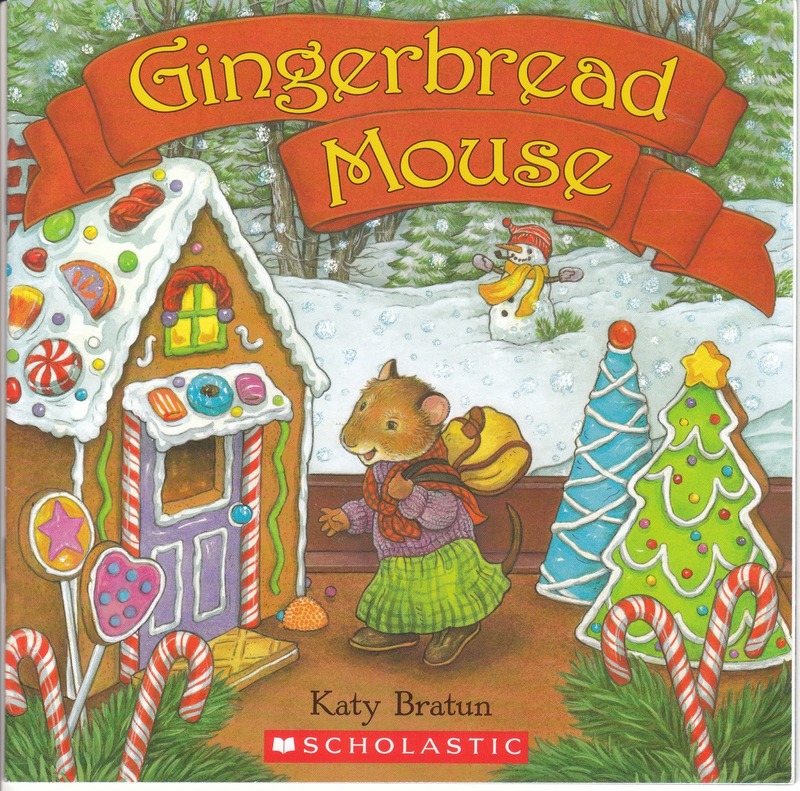 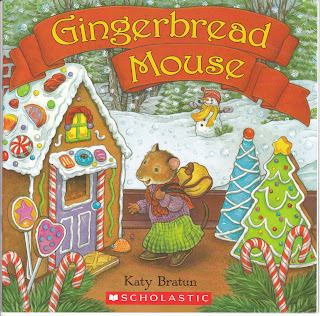 Gingerbread Mouse is a sweet Christmas picture book by Katy Bratun. 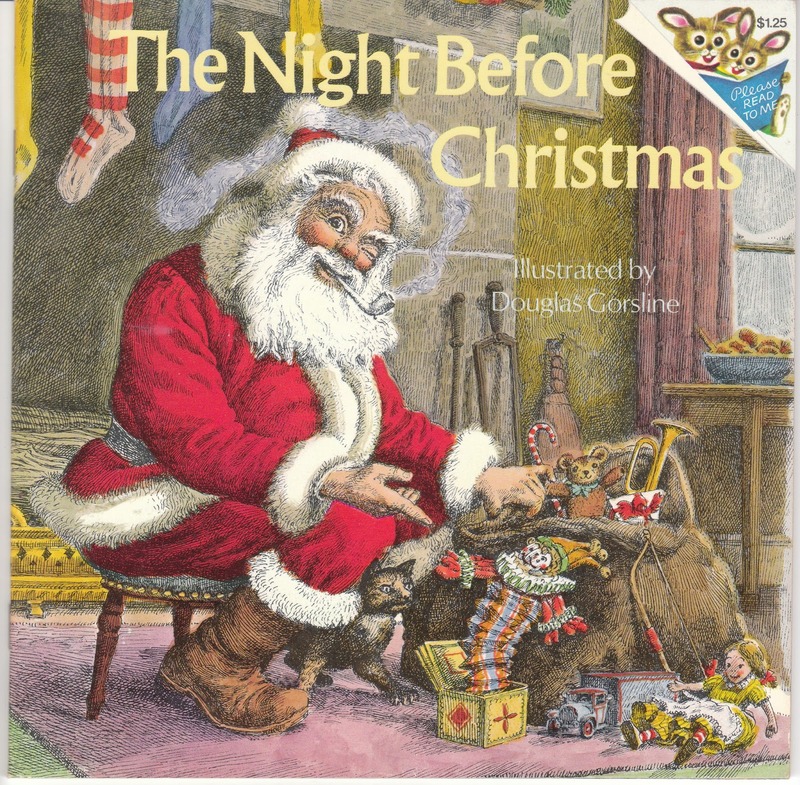 The Night Before Christmas has lovely old fashioned illustrations by Douglas Gorsline. 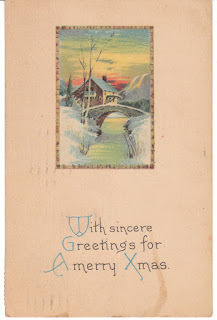 I hope you found some cards or books you like here ... and hope you have a wonderful weekend!